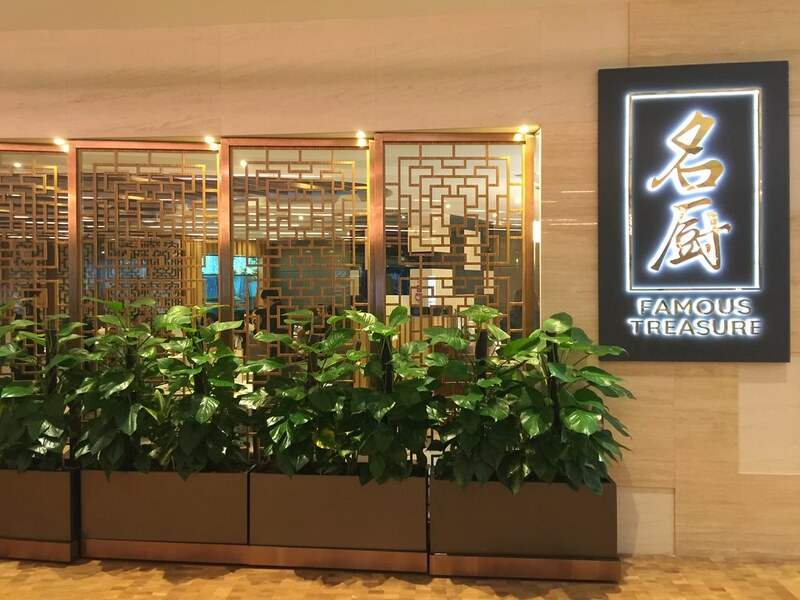 Taking over the defunct Four Seasons Chinese Restaurant Singapore at Capitol Piazza is Famous Treasure. Famous Treasure is the sister outlet of the popular Famous Kitchen in Sembawang. I have not visited Famous Kitchen but I have heard good words about their food. Hence I am really looking forward to my visit to their newer and more posh outlet in the city. We started with the Marinated Cockles Teochew Style ($12). I love my cockles and this is even better with the topping of their homemade chilli. Definitely a winner for me. Deep fried to golden brown is the Pork Belly with Fermented Bean Curd ($20/$30$/$40). 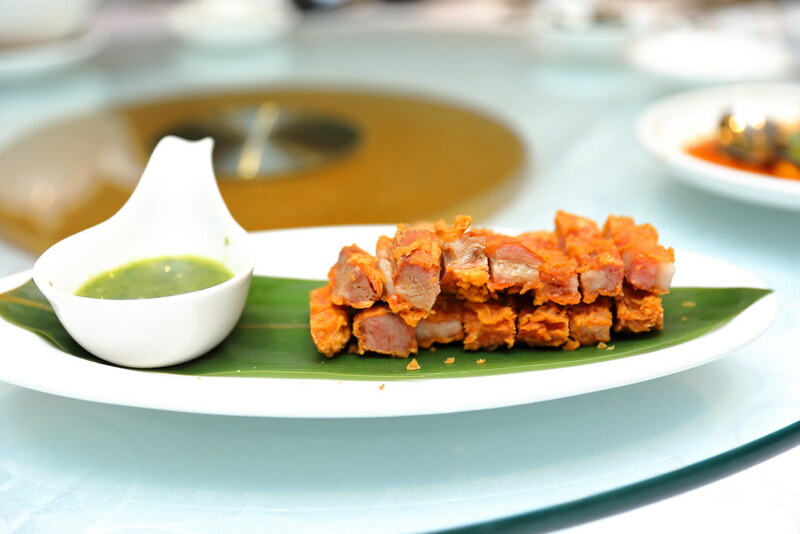 The pork belly coated in a batter of fermented bean curd, is fragrant and juicy. Not forgetting the tangy green chilli sauce dip that elevates the whole enjoyable of the dish. 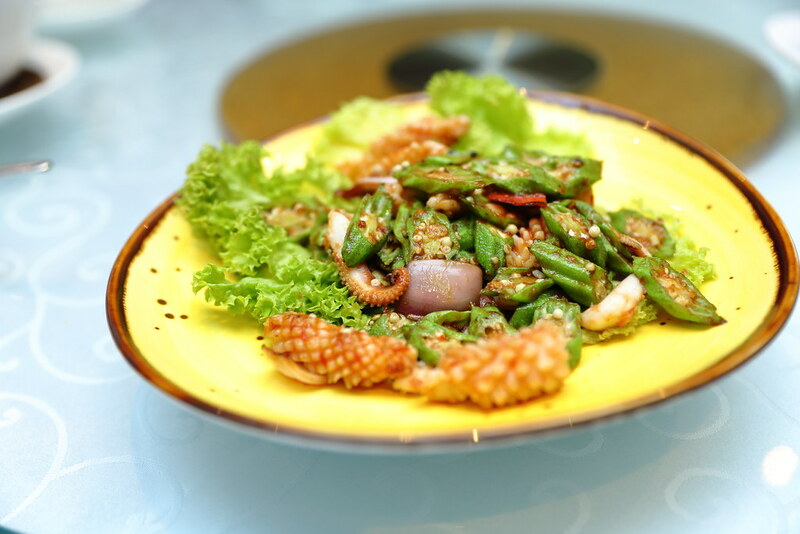 The restaurant impressed me further with yet another excellently executed dish - Wok Fried Squid with Cincalok and Lady’s Fingers ($18/$27/$36). Instead of the usual sambal, what a brillant idea to replace it with cincalok. It definitely gives the dish a deeper depth of flavours and something different from the usual. 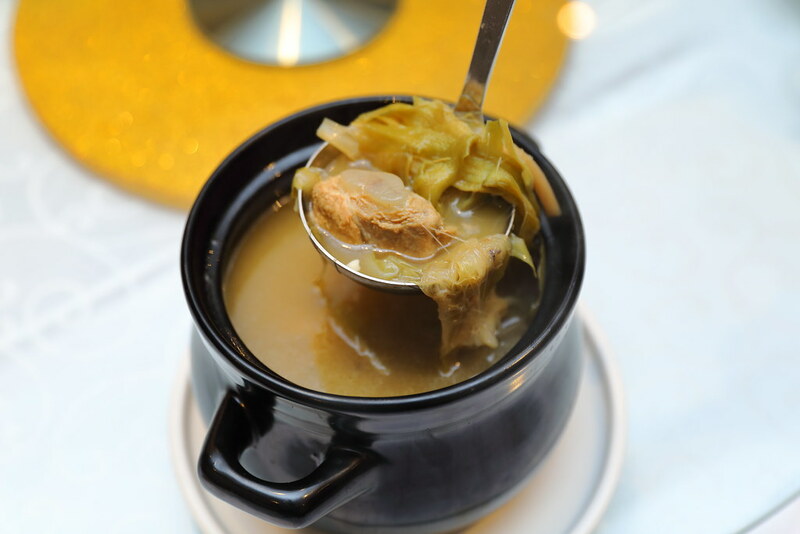 The daily nourishing boiled soup at the restaurant changes regularly and today we have the Pork Ribs and Ba Wang Hua Soup ($28). Boiled for hours to extract the ingredients’ essences, the soup is hearty, sweet and flavourful. What caught my interests is the used of Ba Wang Hua (Night Blooming Cereus), a type of cactus that is seldom seen or used in cooking. Apparently it has several health benefit too. 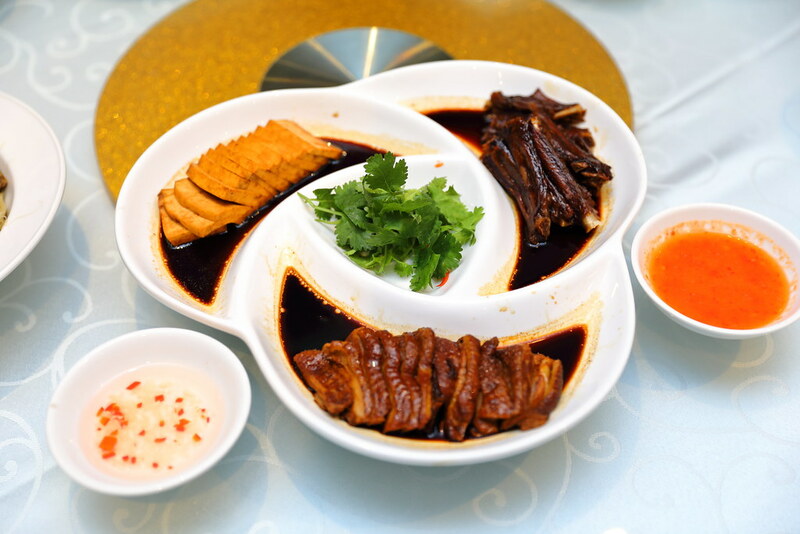 The Supreme Soy Braised Duck Platter ($24) consists of duck slices, webs, wings and beancurd. A great sharing platter that comes with a white vinegar and chilli dip. If you have not try Steamed Shark's Head ($7/100g) before, it is not about eat the flesh but appreciating the cartilage and collagen of the shark's upper jaw area. 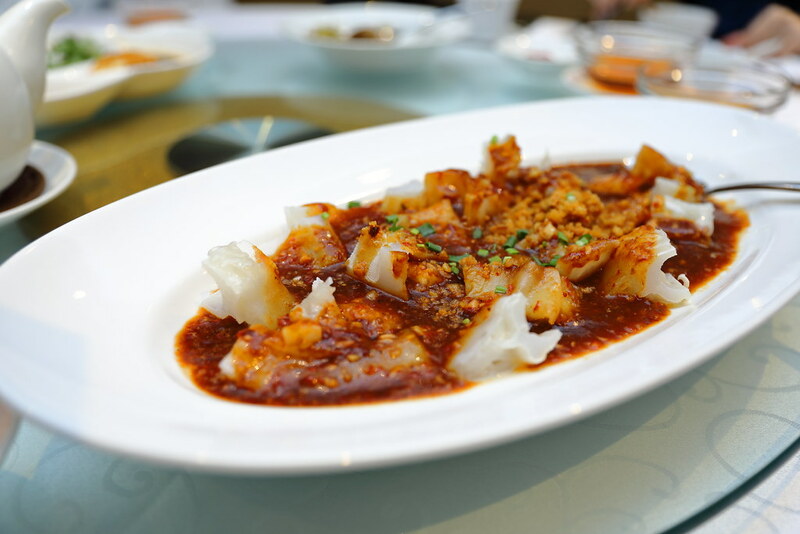 The version here is cooked in a spicy yellow bean sauce which we thought didn't quite highlight the dish. I had a better one that is just steamed with soy sauce, deep fried caught and sesame oil. 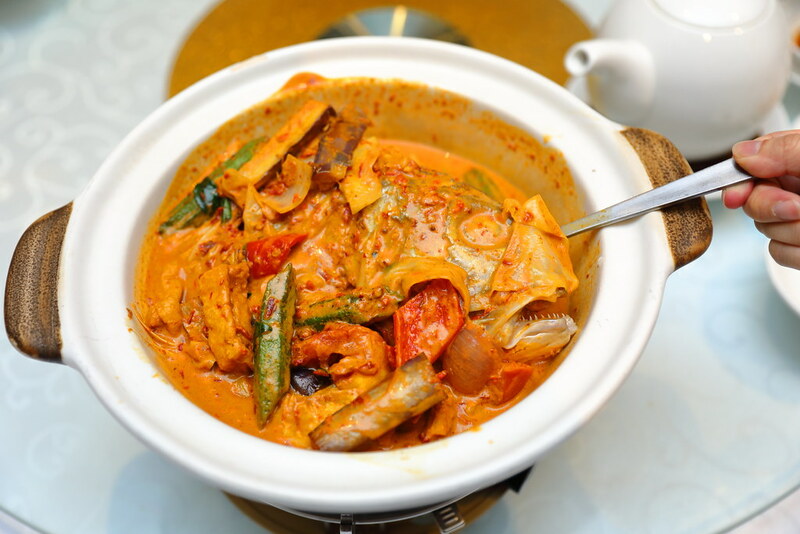 From one fish head we go to another, the Traditional Fish Head Curry in Claypot ($35). 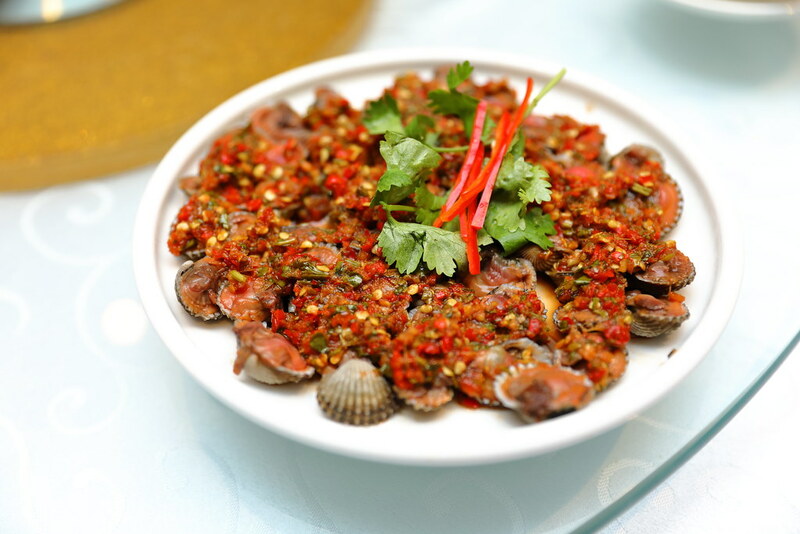 This is one of the signature dish at Famous Kitchen Sembawang, now you can also have it at Famous Treasure. The creamy and lemak curry fish head, served in a claypot comes with a lot of vegetables (cabbage, eggplant and lady fingers) which is really value for money. I love my fish head curry and I have to admit this is one of the better one I have eaten. I can tell why they are popular with the dish. 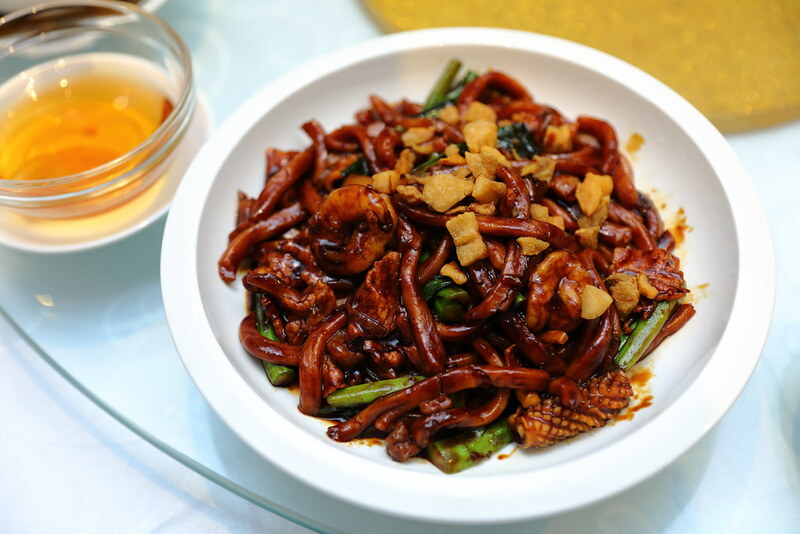 Instead of travelling to our neighbouring country for their hokkien mee, Famous Treasure does a good rendition in their KL Style Hokkien Mee ($18/$27/$36). Perfumed with fragrant dark sauce and pork lard, this is a plate of goodness with pork, cuttlefish and prawn. For a more luscious enjoyment, there is the Braised Rice Vermicelli with Local Lobster and Leek in Superior Broth ($16/100g). 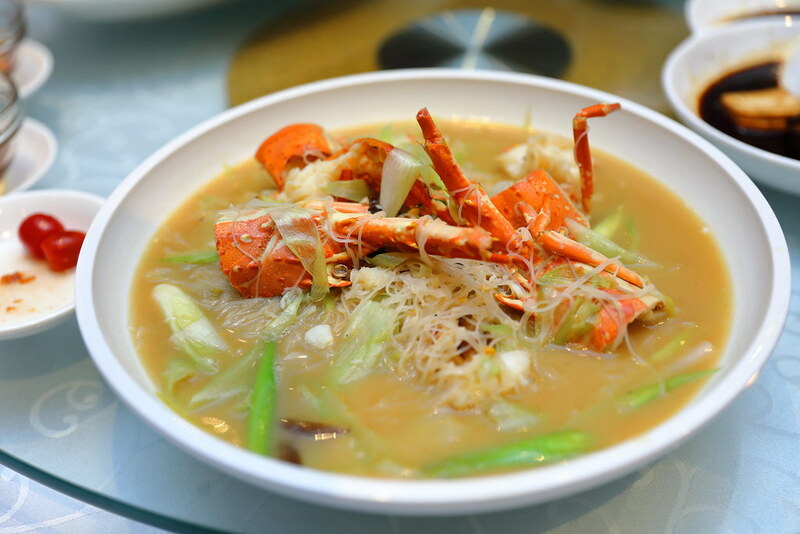 Sweet and bouncy lobster flesh, comes with vermicelli that has been simmered in the rich broth, soaking up the richness. 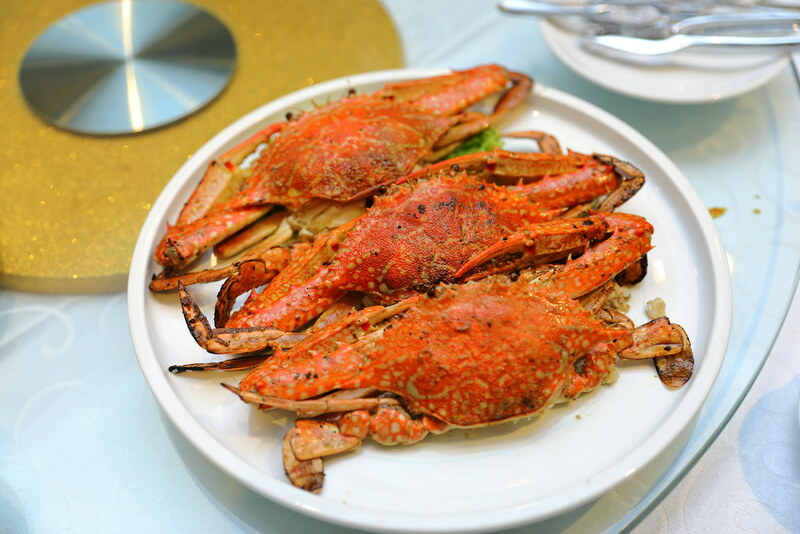 A must try at Famous Treasure has to be their Salted Baked Flower Crabs ($6/100g). The way of preparing the flower crab gives it a charred seafood aroma that just whets up the appetite. 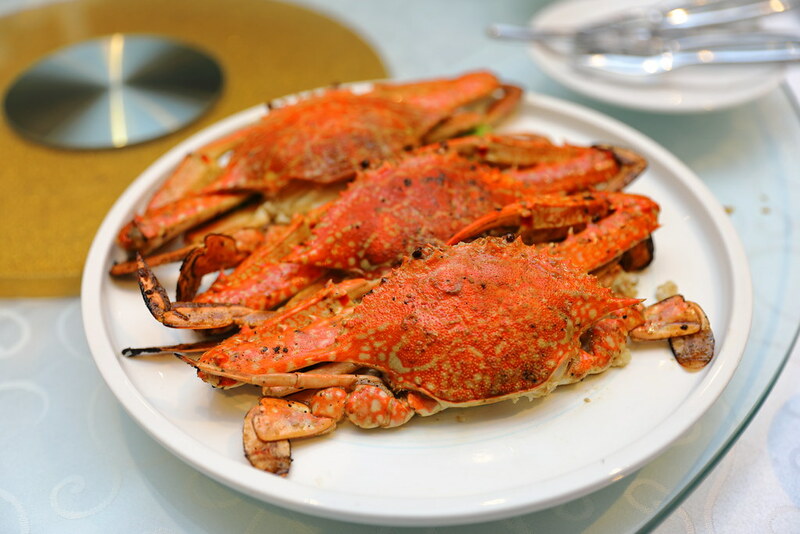 The used of sea salt also further elevated the sweetness of the flower crab. This scores full mark for me. Definitely a must order dish whenever I go back.